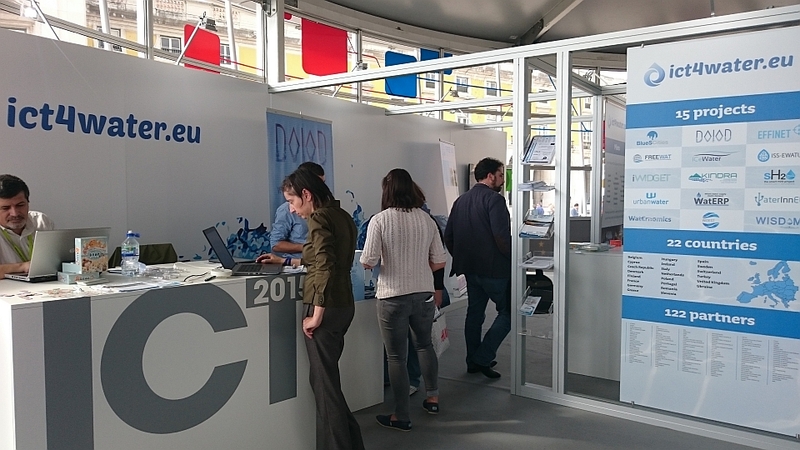 The ICT4Water cluster is a hub for EU-funded research and innovation projects on ICT applied to water management. 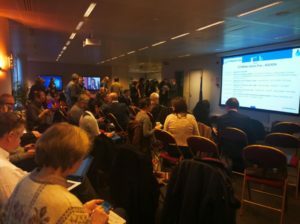 Currently, around 40 projects are members of the cluster. These are both ongoing projects and projects that were members of the cluster before their completion. In the latter case, the ICT4Water site continues to display links to the projects’ webpages and to selected project outcomes (e.g. videos, IT tools open to the public). 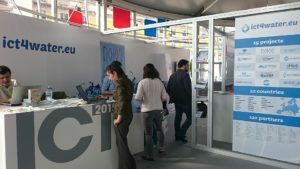 This permanent link between the cluster and the projects, even after their completion, helps showcasing project results and supports their dissemination and exploitation. Registration to the cluster is free of charge. All ICT4Water projects have digitalisation at their core as a means to address several research and innovation topics. 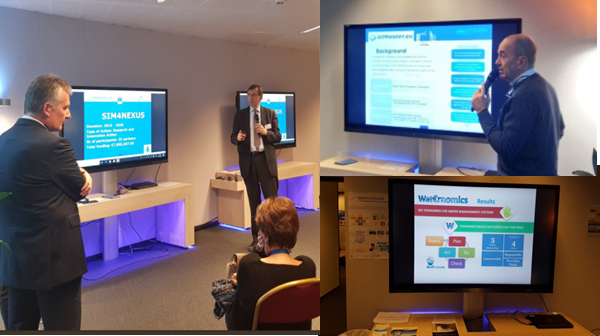 Our members work, among others, on real time monitoring, smart devices, IoT platforms, system interoperability, standardisation, data/image analytics, artificial intelligence algorithms, simulation and 3D visualisation, and cyber-security. They use these tools to address a variety of topics, including integrated water and wastewater management, water treatment, water reuse, circular economy, water-energy and/or water-land-food-energy-climate nexus, nature base solutions, pollution reduction and prevention, smart irrigation, water system monitoring, hydro-informatics and big data analytics, and resilience in the field of floods and droughts. At the beginning of 2018, the leadership of the cluster has been transferred to the Executive Agency for Small and Medium-sized Enterprises (EASME) from the EC Directorate-General for Communications Networks, Content and Technology (DG CNECT). DG CNECT continues to support the cluster for policy related aspects, while the cluster’s activities are coordinated by a management team made of two representatives from EASME, one from DG CNECT and three external experts from projects which are members of the cluster. The cluster holds 2-3 annual meetings where all members are invited to participate (on their own budget). In addition, members are regularly contacted to provide their feedback on the on-going work of the cluster, the implementation of its Action Plan, or ad hoc initiatives. To this end, projects are encouraged to appoint one contact point that follows the activities of the cluster and ensures that information is disseminated within the project.